Prep time: 45 minutes. Serves 8. 1. Preheat the oven to 350 ° F. Toss the artichokes with crushed red pepper, garlic and olive oil. Season with salt and pepper. Place in a single layer on a baking sheet that is lined with foil, and bake until garlic is golden and edges of artichokes begin to brown, for about 20 to 25 minutes, stirring occasionally. 2. While the artichokes are baking, marinate the tomatoes in the chimmichurri sauce. 3. Bring a pot of water to a boil. Cook pasta according to the package. Rinse under cold water and drain. 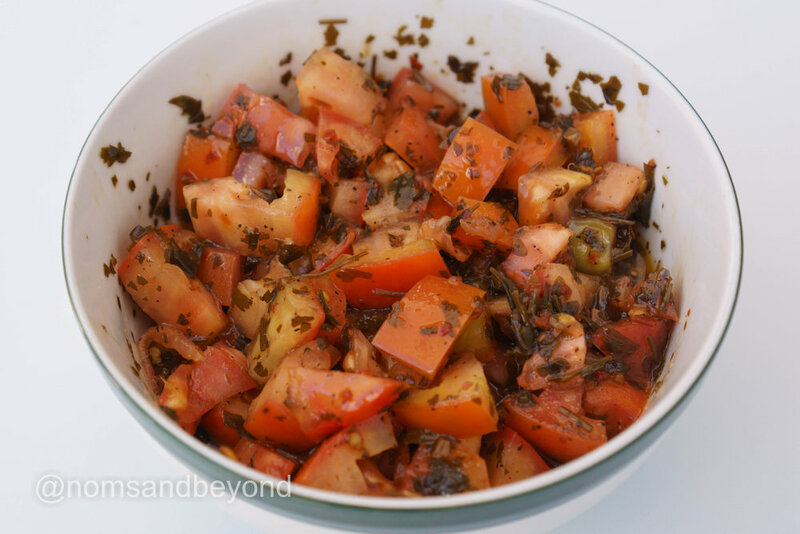 Toss with the marinated tomatoes and artichoke mixture. Stir in parmesan cheese and serve. Add more parmesan cheese on top for garnish.